Mehmet Yurdal ŞAHİN was born in Kırşehir, Turkey in 1968. 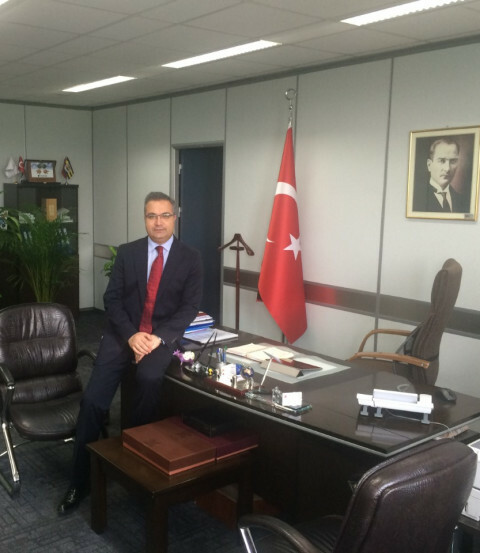 He graduated from Kırşehir High School in 1985 and from the Faculty of Agriculture of Ankara University in 1989. He completed his master’s and doctor’s degrees in the same faculty.He joined the Undersecretariat of Treasury and Foreign Trade in 1993 as an Assistant Expert upon successfully passing the entrance exam. He was promoted as Treasury Expert in 1996 after completing the expert proficiency exam. He served as an Assistant Expert, Expert, Division Chief in the General Directorate of Incentive Implementation from 1993 to 2001. He was assigned as Head of Department in 2001 and as Deputy Director General in 2010.He has been serving as an Acting Director General first at the Ministry of Economy and then at the Ministry of Industry and Technology, General Directorate of Incentive Implementation and Foreign Investment since February 2018. He has numerous published books, articles and studies in his field. Furthermore, he has represented Turkey in various meetings abroad.